Height adjustable legs with a variety of valance height options from 74" to 83". 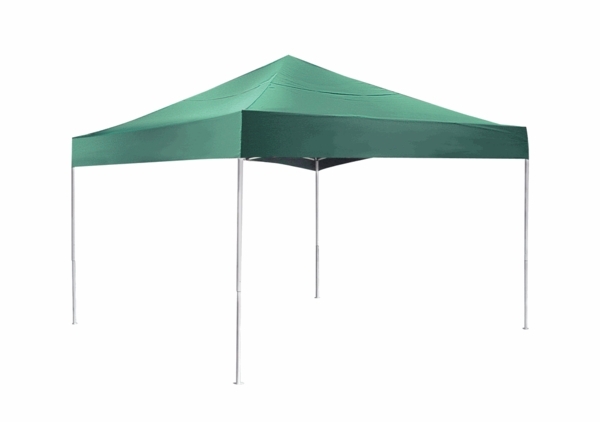 Expand your outdoor options with this popup canopy tent. Its sturdy frame is built with welded tubular steel and bonded with a powder coat to eliminate peeling, chipping, and weathering. Setup is simple with the tent's innovative fold frame collapsible design and full fitted valance cover. Its decorative open top frame provides unobstructed head room, and the height-adjustable legs allow valance height options from 74" to 83". The polyester cover is UV treated inside and out with fade blockers, anti-aging, and anti-fungal agents for maximum weather protection and longevity. With its heavy-duty double-stitched inside lining, the canopy is seam sealed with waterproof tape for optimal water resistance and drip-free seams. Wide-based foot pads offer both stability and simple access to secure anchor points. The entire set comes with a wheeled storage bag for convenient transportation and easy storage. Would this tent canopy be considered commercial grade? Is it a better quality because of the tubular leg construction? Yes, it is considered to be a good quality tent and is one of our better products in that size. It was,at first, hard to put up. Every joint had to be loosened and oiled. Not hard to do. It takes two people to set the tent up. The top is thin. After eight times setting it up I have holes on the top of the cover. 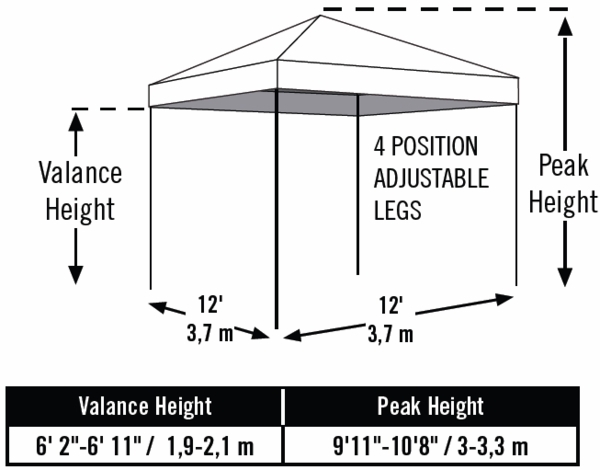 It is simple to set up but you need a long pole to push up on the inside center to expand the tent. Makes it easier. Buy sand bags for each leg - they are needed. It's light, simple, and easy to put away. Takes up little space. Top could be stronger.